Perhaps you’ve decided to upgrade from your existing window units to a central air conditioning system. If you’ve never done it before, you’ll likely find it overwhelming—and expensive. There are many things to consider when you are looking at a new AC system installation. A lot of factors come into play when it comes to determining how much you’ll pay. There are several things to consider including ways you can increase the value of your purchase. The good news is that the team at Penguin Cooling and Heating is here to help. We can provide a free consultation and estimate to put you on the road to a new AC System installation. 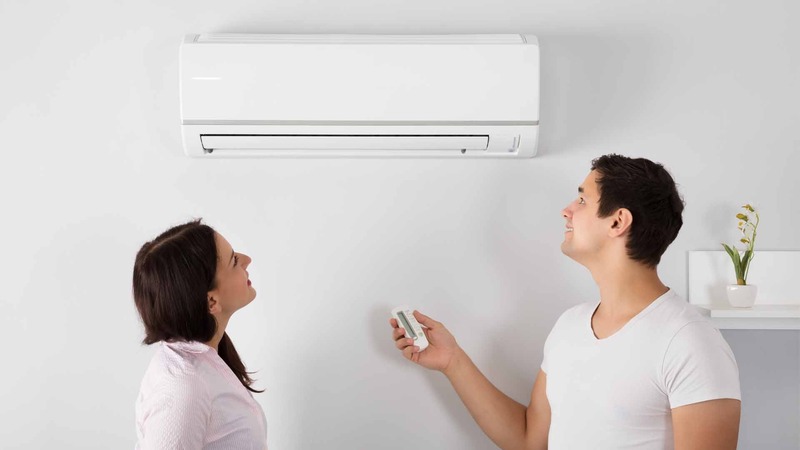 What Does A NEW AC SYSTEM INSTALLATION COST? Central air conditioning is a sizable step up from a window unit, requiring professional installation to get the job done right. 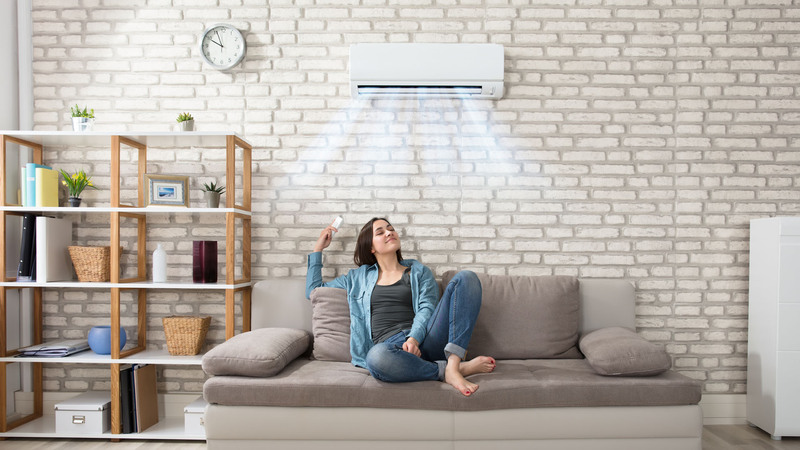 Depending on your project, you can expect to pay anywhere from around $2,000 to over $10,000 for a new AC system installation. Penguin Cooling and Heating lets you know upfront what it’ll cost with no surprises or added expenses. We will provide an itemized list of everything so that you can make an informed choice. What Is Involved with A NEW AC SYSTEM INSTALLATION? Choosing the correct replacement unit for your home begins with knowing the square footage of your living quarters and typical climate to determine what size unit to get. Less isn’t more if it’s running continuously and driving up your electric bill. You also need to take into account your existing conditions such as the ductwork and installation of your house. Most likely, it’ll require some upgrades in the former, especially if it’s an older home. That will add to your costs if you opt to go for an HVAC system instead. Then, there is the price of the labor involved because this job falls outside of the DIY-range since you’ll need a licensed contractor to do it. In fact, the States Of North Carolina and South Carolina require that all HVAC equipment is installed by a licensed contractor. Penguin Cooling & Heating is licensed by both, the States Of North Carolina and South Carolina. There are several types of replacement air conditioning systems. You’re likely familiar with the central system which is an extension of your existing heating solution using the same ductwork. The other option is a mini split system. They have outside and inside devices. You’ll also find single and two-stage units which speak to the operating capacity in a single or double phased process. Your choice is essential since it could mean a tax credit for you if you purchase a qualifying item. The criteria go back to the ratings which we discuss next. Both will get you $300. Packaged systems must have a 12 EER or 14 SEER. Split units need a 13 EER or 16 SEER. This information only scratches the surface of the products you can buy. That’s where the knowledge and experience of a Penguin Cooling and Heating professional can help you choose the best one for your situation. Buying the right replacement AC system for your home is a balance between cost and energy efficiency. Two product ratings can help. The energy efficiency ratio (EER) provides a measure of the effectiveness of a unit based on the BTU output at specific temperatures. Those are the ones that you set on your thermostat. The seasonal energy efficiency ratio (SEER) bases its output taking into account the temperature fluctuation which can, in turn, affect performance. That’s where our team can point you in the right direction. We stand behind our one-year warranty and those of the manufacturers you choose. Your satisfaction is our primary goal. That’s why we give you a one-year, full guarantee on parts or labor. Replacements are on us. To keep your cooling system running smoothly, we also have preventive maintenance plans on a monthly or annual basis. It’s one of the best ways to ensure that you’ll have your unit for its expected lifetime while saving you money on improved performance. 704-296-0800. Our customer service representatives are ready to help 365 days a year.